Do the US and Saudi Arabia Want to Divide Yemen? The instability in Yemen is being caused not by Iran or the Houthis, but by US and Saudi interference in Yemen — from Saudi Arabia’s 2009 invasion to US drone attacks — and the decades of support that Saudi Arabia has provided for authoritarian and unpopular rule in Yemen. «Battle lines are being drawn in Yemen, the Arab world’s poorest country and the Middle East’s latest candidate for state failure. If, as looks increasingly probable, open warfare breaks out soon, it will only be made worse by the contest for regional supremacy between Saudi Arabia and Iran. Both powers have proven eager to arm groups they believe they can control, despite the legacy this destructive rivalry has already wrought in Syria and Iraq», the magazine Foreign Policy claimed on March 6. The Houthi Alliance with Iran: Pragmatism or Sectarianism? The Houthis are not Iranian proxies whatsoever. The Houthi movement is an independent political actor that emerged as a result of repression. To call the Houthis Iranian proxies is unempirical and ignores the history and politics of Yemen. «If a war breaks out along sectarian lines, it will not be because that is where historical divisions have lain in Yemen; it will be because the war’s foreign funders are inflaming previously unimportant divisions,» Foreign Policy even admits. Houthi leaders have admittedly rejected claims that they take orders from Tehran. This has not stopped Saudi and Khaliji (Gulf) officials and media, who have used and manipulated the statements of Iranian officials, like the comparison of the Houthis to Iran’s Basij, from portraying the Houthis as Iranian agents or clients. Just like how the Houthis are not Iranian proxies, there is no Shia alliance between Tehran and them in Yemen either. Talk that focuses on this simplistic sectarian narrative hides the political nature and motivations of the conflict in Yemen and insultingly obfuscates the struggle of the Houthis against repression. Until the 1970s the House of Saud had actually been a major supporter of the royalist factions in Yemen, which were predominately Shiite Muslims. Moreover, the Shiite Muslims in Yemen are not Jaffaris (Twelvers) like the majority of Shia Muslims in Iran, the Republic of Azerbaijan, Lebanon, Iraq, Afghanistan, Pakistan, and the Persian Gulf region. Aside from pockets of Ismaili Shiites – which can arguably be called Seveners – in the governorates of Saada, Hajja, Amran, Al-Mahwit, Sana, Ibb, and Al-Jawf most the Shia Muslims in Yemen are Zaidis/Zaydis. The Ismailis in Yemen are mostly members of the Dawoodi (Davidian) and Sulaimani (Solomonian) sects of Mustali Ismailism that moved away from the larger Nizari Ismailis. The US and Saudi hostility towards the Houthi movement is what has inadvertently made the Houthis pragmatically turn to Iran for help as a counterbalance. In the words of the Wall Street Journal, «Houthi militants controlling Yemen’s capital are trying to build ties with Iran, Russia and China to offset Western and Saudi support for the country’s ousted president.» «The Houthis’ interim government has sent delegations to Iran in search of fuel supplies and to Russia to look for investment in energy projects, according to two senior Houthi officials. Another delegation is planning to visit China in the coming weeks, they said», the Wall Street Journal also reported on March 6. As a result of the Houthi movement’s reaching out, Iran and Yemen announced that daily flights would take place between Tehran and Sana on March 2. This is an important lifeline of support for the Houthi movement. Yemen is not an inherently divided country. 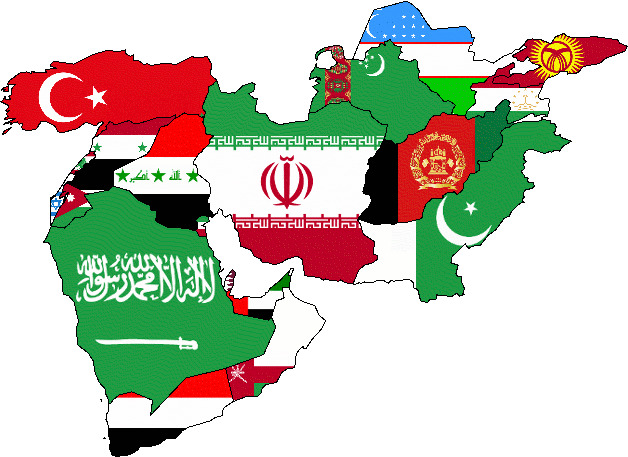 Aside from the nurturing of Al-Qaeda by Saudi Arabia and the US, there is no real Shia-Sunni split or tensions. To pre-empt Yemen from being independent, the Saudis and US have supported sectarianism with the hope of creating a Shia-Sunni divide in Yemen. Unlike the false narrative, Iran’s alliances in the Middle East are actually not sectarian. All of Tehran’s Palestinian allies are predominately Sunni Muslims while in Iraq and Syria, aside from the governments, Iran supports a cross-section of ethnic and faith groups that include non-Arabs and Christians. This includes the predominately Sunni Muslim Syrian and Iraqi Kurds and the Assyrian Sutoro wing of the Syriac Union Party (SUP) in Syria. In Lebanon, aside from Hezbollah, the Iranians are also allied to Sunni Muslim, Druze, and Christian parties, including Michel Aoun’s Free Patriotic Movement—which is the largest Christian party in Lebanon. If anyone is engaged in sectarianism as a policy, it is the US and its Arab petro-sheikdom allies. Both the US and Saudi Arabia had engaged the Houthis earlier and used them against the Muslim Brotherhood in Yemen. Additionally, during the Cold War both Washington and the House of Saud tried to use the Yemeni Shiites against the republicans in North Yemen and the People’s Democratic Republic of Yemen in the south. It is when the Houthi movement demonstrated that it was not going to be a client to Washington or Riyadh, that the US and Saudi Arabia became hostile towards it. On 20 March, suicide bombers attacked the Al-Badr and Al-Hashoosh mosques during asr salat (afternoon prayers). Over three hundred people were killed. Abdul Malik Al-Houthi accused the US and Israel of supporting the terrorist attacks and both the ISIL/ISIS/Daesh and Al-Qaeda in Yemen. Saudi Arabia was also blamed. While there was silence in Morocco, Jordan, and the Arab petro-sheikhdoms, Iranian Foreign Ministry Spokeswoman Marziyeh Afkham condemned the terrorist attacks in Yemen. In one way or another, Syria, Iraq, Russia, and China all condemned the terrorist attacks in Yemen too. To show Tehran’s support for Yemen, two Iranian cargo planes with humanitarian aid were sent to Yemen and the Iranian Red Crescent Society flew over fifty Yemenis victims of the terrorist attacks to hospitals inside Iran for medical treatment. The Houthis movement is the result of Saudi Arabia’s policies in Yemen and its support for authoritarian rule. In this regard, the Houthis are a reaction to Saudi brutality and the House of Saud’s support for Yemeni authoritarianism. They emerged as part of a rebellion that was led by Hussein Badreddin Al-Houthi in 2004 against the Yemenite government. The Yemeni and Saudi regimes falsely claimed that the Houthis wanted to establish a Zaidi imamate in Arabia as a means of demonizing the movement. This, however, failed to stop them from getting stronger. The Yemeni military could not handle them in 2009, which resulted in a Saudi intervention, called Operation Scorched Earth, being launched on August 11, 2009. Saudi Arabia failed to defeat the Houthis when it sent its military into Yemen to fight them in 2009 and 2010. It has failed to force Yemen and the Houthi movement to kneel in obedience. When it demanded that the Houthis and Yemeni transitional government play to the Saudi tune and go to Riyadh for negotiations, it was flatly rejected by the Houthis and Yemen’s Revolutionary Committees, because the negotiations and any Saudi-supported power sharing scheme would really sideline the Houthis and other political forces in Yemen. This is why the Popular Forces Union, Al-Hadi’s own General People’s Congress, and the Baath Party of Yemen have all supported the Houthi position against Saudi Arabia. Yemen has seen numerous insurrections, military intervention by the US and Saudi Arabia, and a separatist movement strengthen in its southern governorates. Yemen’s military has become fragmented and tribal tensions exist. There has been increasing talk about it becoming an Arab failed state. In 2013, the New York Times proposed that Libya, Syria, Iraq, Yemen be split. In the case of Yemen, the proposition was that it be divided into two again. The New York Times said that this could or would happen following a potential referendum in the southern governorates. The New York Times also proposed that «all or part of South Yemen could then become part of Saudi Arabia. Nearly all Saudi commerce is via sea, and direct access to the Arabian Sea would diminish dependence on the Persian Gulf — and fears of Iran’s ability to cut off the Strait of Hormuz». Saudi Arabia and Al-Hadi are now courting the southern separatists in Yemen, which have the support of about one-tenth of the population. The next option for the US and Saudi Arabia may be to divide Yemen as a means of mitigating the strategic shift from a Houthi victory. This would ensure that Saudi Arabia and the GCC have a southern transit point to the Indian Ocean and that the US would maintain a foothold in the Gulf of Aden.